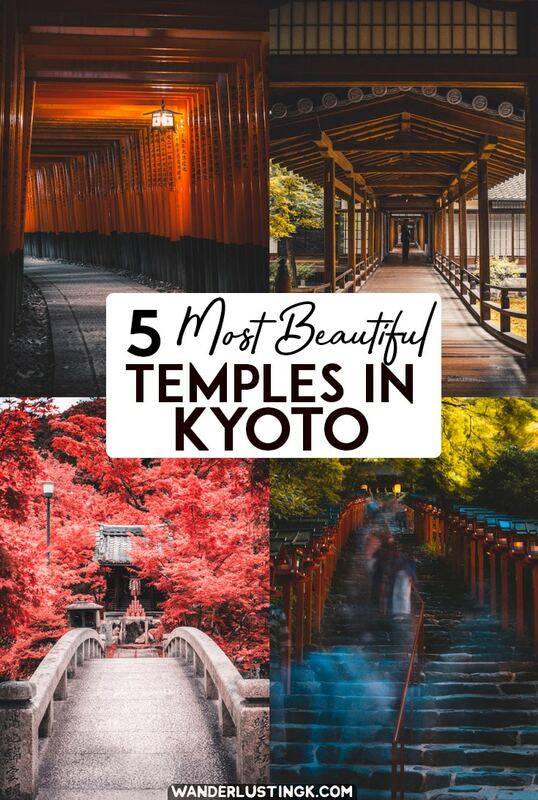 t can takes years to visit every single one of the shrines and temples that Kyoto has to offer, but there are a few select ones that deserve a visit, should you find yourself in Kyoto. 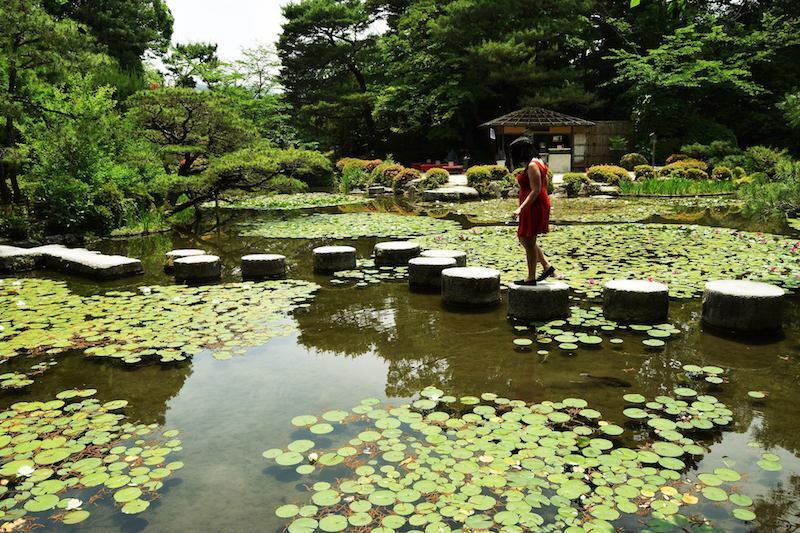 Keep reading for the most beautiful shrines and temples in Kyoto to visit. Guest Post by James Weber, a British freelance travel photographer (and travel writer) with impressively poor navigational skills. He is capable of getting lost, even with the help of a map, and writes about his adventures in Asia (and beyond) at One Lost Traveller. 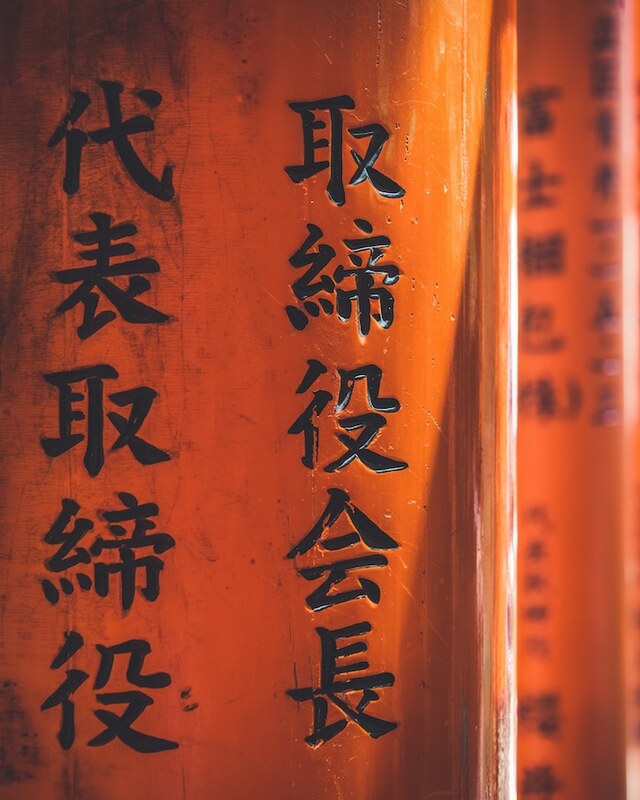 The Fushimi Inarii shrine (伏見稲荷大社, Fushimi Inari Taisha), south west of central Kyoto is based at the bottom of Mount Inari and popular among tourists for its vibrant red senbon torii (a thousand gates). This temple in Kyoto is famous partially due to the memorable scene in Memoirs of a Geisha. The torii gates are donated to the shrine by businesses, where the black kanji are inscribed on the painted wood. Not many people know that this famous shrine in Kyoto is actually open 24 hours a day, 7 days a week, which is perfect to capturing photos without people in the frame. There are electrical lamps spaced along the paths up towards the summit of Mount Inari lighting the way, and if you do venture further up, you may just pass a priest coming back from the many smaller shrines that line the way up to the summit. Visiting at night is a unique experience, given it isn’t often you get the chance to stay at a shrine at nighttime. Being located near forests, you do hear the sounds of wildlife, such as foxes and boars, that add to the experience. 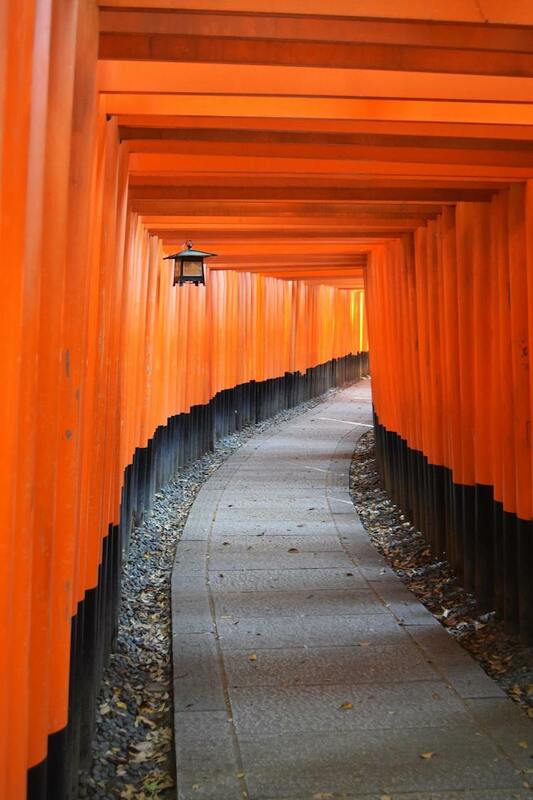 Getting to the Fushimi Inari shrine in Kyoto is very easy from the city center. It’s possible to take the Keihan Main Line towards the Fushimi Inari shrine stop or the JR line towards Inari station. You’ll find a multitude of shops, including a cat cafe with rescue cats, near the train stations. 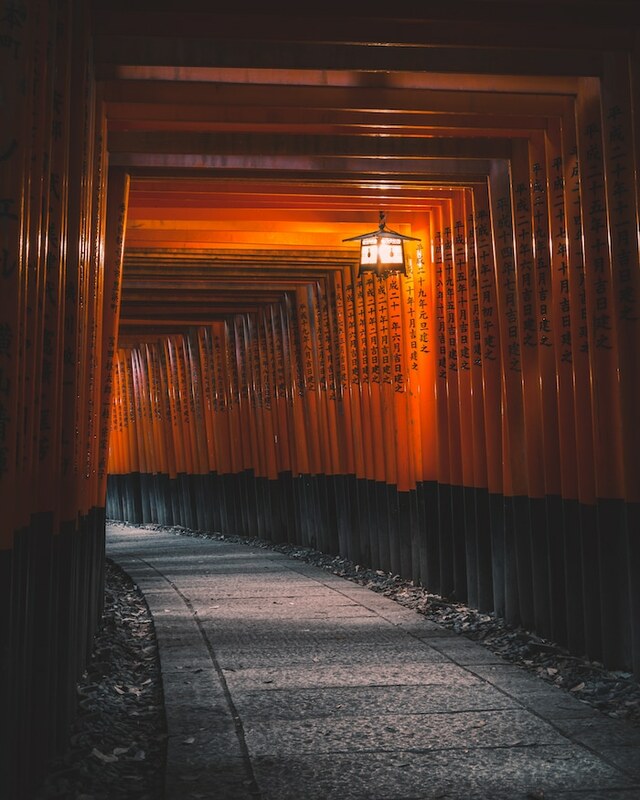 If possible, avoid visiting the Fushimi Inari shrine during the late morning or early afternoon as this is when tour groups often visit. The sunrise at Fushimi Inari is very spectacular as well! The fox is the guardian on the shrine and you can see all around the Fushimi Inari shrine. The fox is the god of rice, which is associated with prosperity. 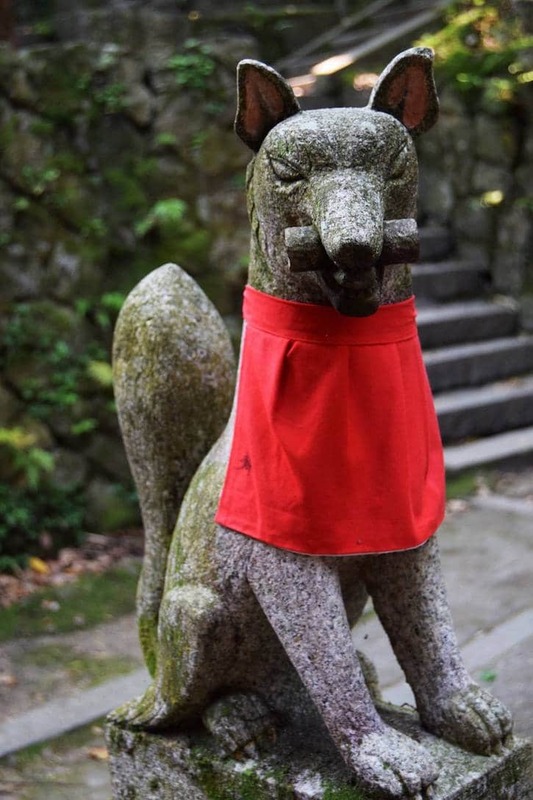 The red bibs are meant to protect the inari from illness. A popular offering at the Fushimi Inari shrine is fried tofu as tofu is thought to be a favorite and the packaging looks a bit like fox ears. 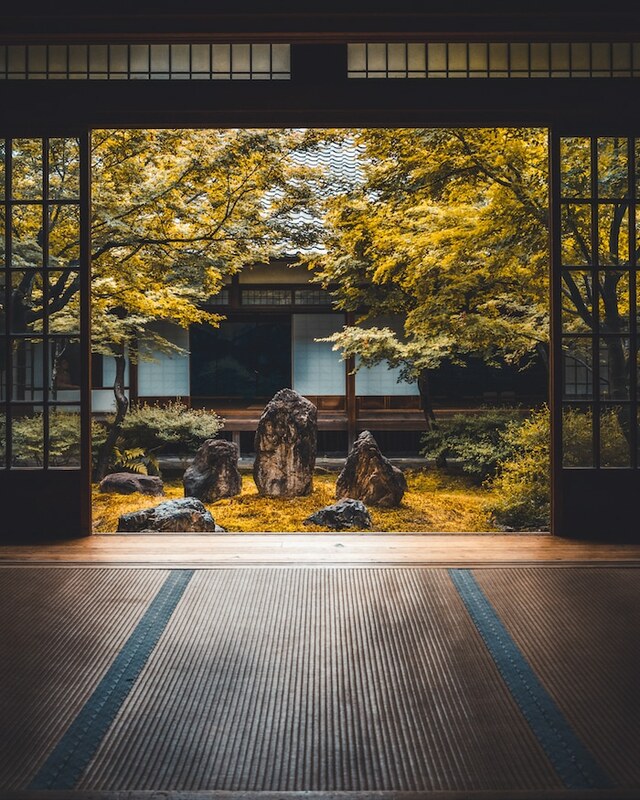 East of central Kyoto is a temple located in the Higashiyama forests and is ultimately one of the most highly regarded, and important, Zen temples in Japan; Nanzenji temple. 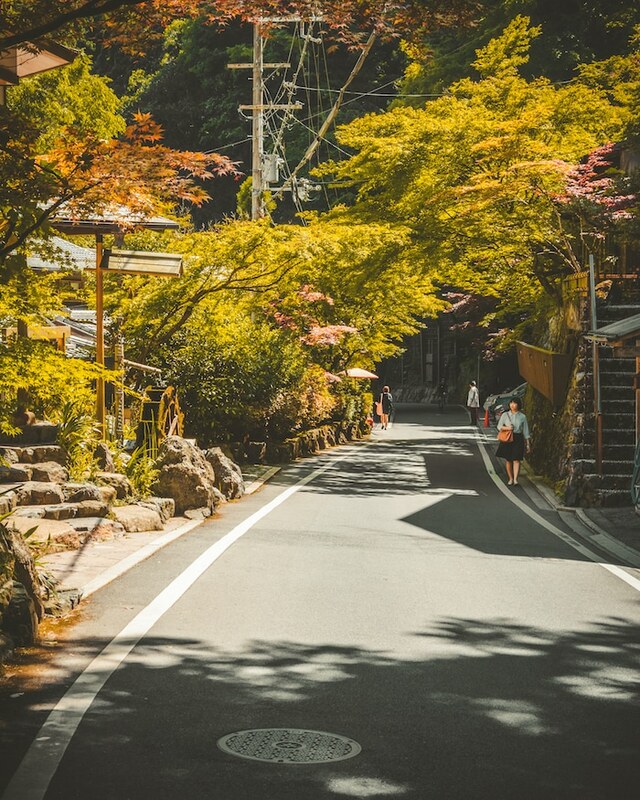 You can reach this temple via two ways; either by walking along the famous Philosopher’s Path at ending up at the temple at the end, or by walking through the winding streets of Kyoto lined with dark brown fencing and stone paved paths. Occasionally you get to see what is behind those fencing when you pass a door or gate. Be sure to take your time walking around Nanzenji, as the area is immense with a lot of smaller shrines scattered around. Eikando temple is nearby Nanzenji and it is recommended to try and visit both temples in one day. Eikando temple feels more of a beautifully decorated garden, with various plants and trees planted full of different colours. The area is full of natural beauty with the mountains serving as a backdrop to the temple. Depending on when you visit, during autumn, the paths are illuminated at night, which creates a magical atmosphere. Two different train rides towards the north of Kyoto takes you into the mountains to Kibune shrine. Being situated within the mountains, you are in rural Japan, where you can hear the sounds of the cicadas during summer in the distance and the flow of water from nearby rivers. The entrance to this shrine is lined up with lanterns on each side and are turned on towards evening. Despite the time taken to get to this beautiful shrine outside of Kyoto, I was fortunate to spend the afternoon and evening there to see the lanterns be illuminated during dusk, and the priests finishing for the day. 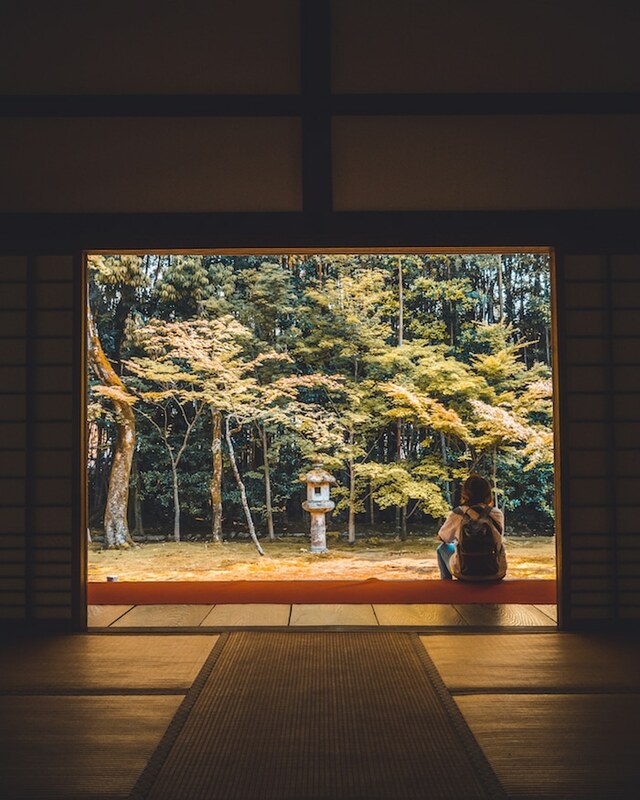 If you want to spend an hour or two just to relax and compose your thoughts, then Kenninji temple is a place to visit. 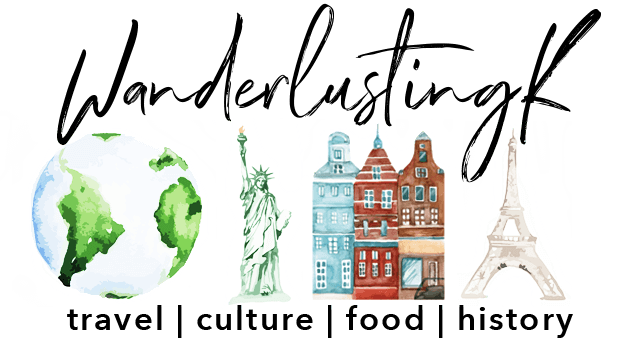 It is one of those rare discoveries that makes me appreciate travelling; I was told about this place from a local on the bus and I was glad to have followed their advice. Hardly anyone is around, allowing you to achieve your Zen state of mind and listen to the trees rustle in the breeze. The temple is open, allowing you to explore the various rooms and walkways available, just make sure you take your shoes off and you don’t have any holes in your socks! 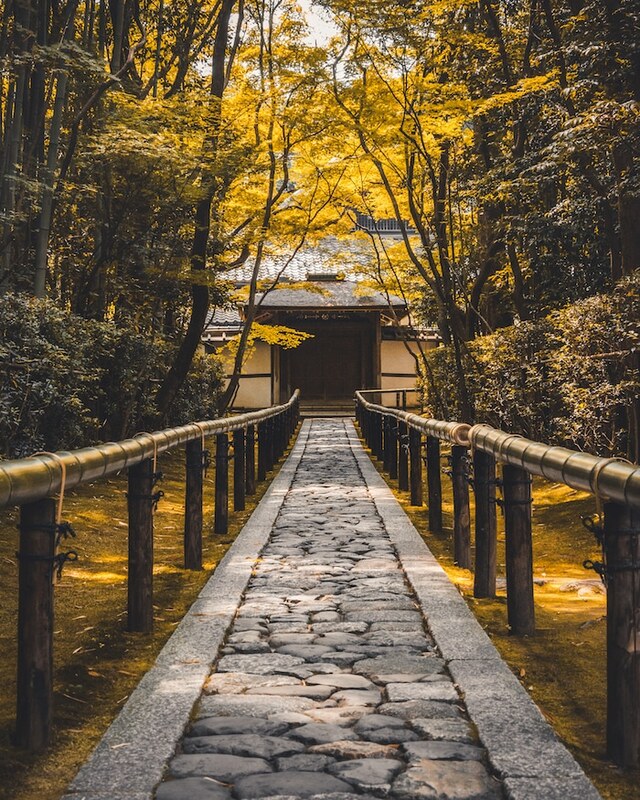 Imagine walking down a stone path with bamboo fencing and green forests lining each side; at the end you can see the path takes a sharp right, leading you to a wooden gate. That is the scene of Koto-in temple, a smaller temple within the Daitoku-ji temple complex. 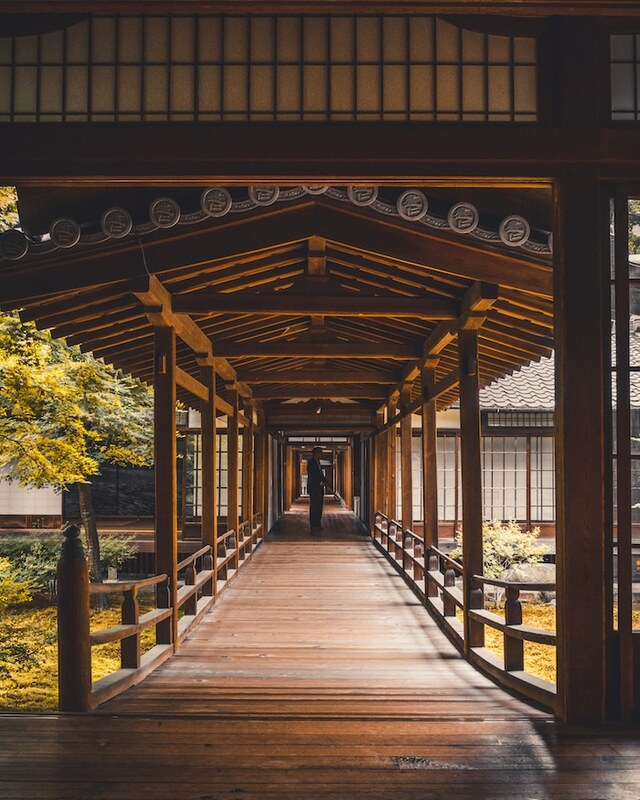 The entrance to this temple is one of the most beautiful, yet simple and natural places that I have seen in Japan. No matter what the weather is, the atmosphere of this temple in Kyoto is divine and spiritual. You’ll be lucky if you find another person here, as this temple is also overlooked by visitors to Kyoto. Due to renovations of this temple currently taking place, it is closed until early 2019, after wich it’ll be open as usual. 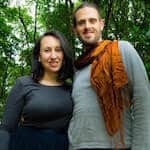 Note: these were shrines and temples added by Wanderlustingk editor, Karen, who visited Kyoto and suggested the following three shrines and temples in Kyoto in addition to James’ suggestions. 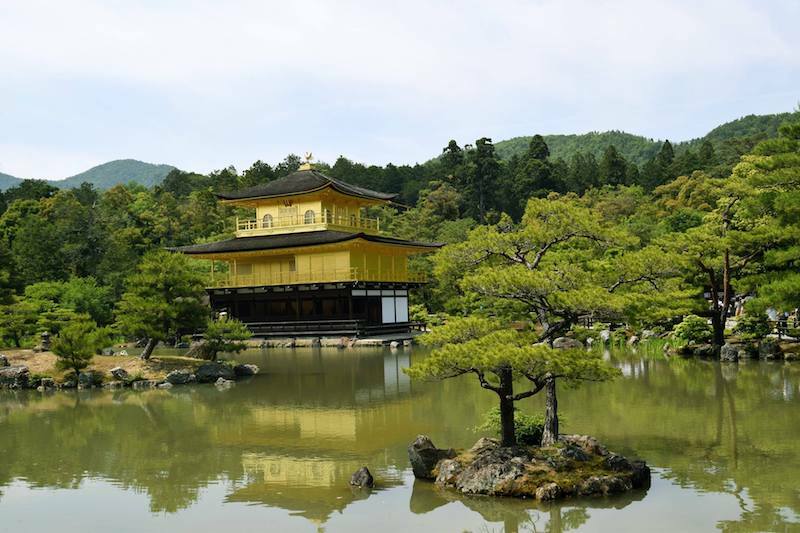 The Golden Pavilion is one of the most famous temples of Kyoto and it certainly comes with the crowds that come with visiting one of the highlights of Kyoto. There are two artificial islands in the lake, called Swan Island and Turtle Island. The turtle is considered to be one of the most auspicious animals in Shintoism. Originally, the outside of the temple was solid gold. The gold was stolen at some point, but the outside is now decorated with golden leaf. The Heian Shrine is a newer shrine by comparison with some of the others, only dating back to the late 1800s. 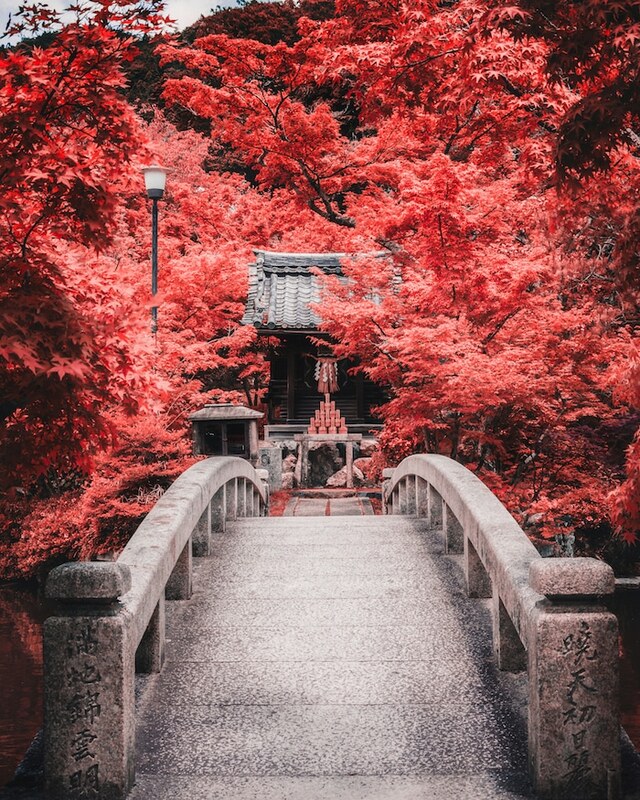 It was built in honor of Japan’s roots in Kyoto and this shrine is dedicated to Japan’s emperors. Although it’s not immediately clear to visitors, the Heian Shrine has a stunning and large garden behind it, which was included in the filming of Lost in Translation. Visitors will not want to pass up the chance to explore the grounds, which is full of cherry trees. 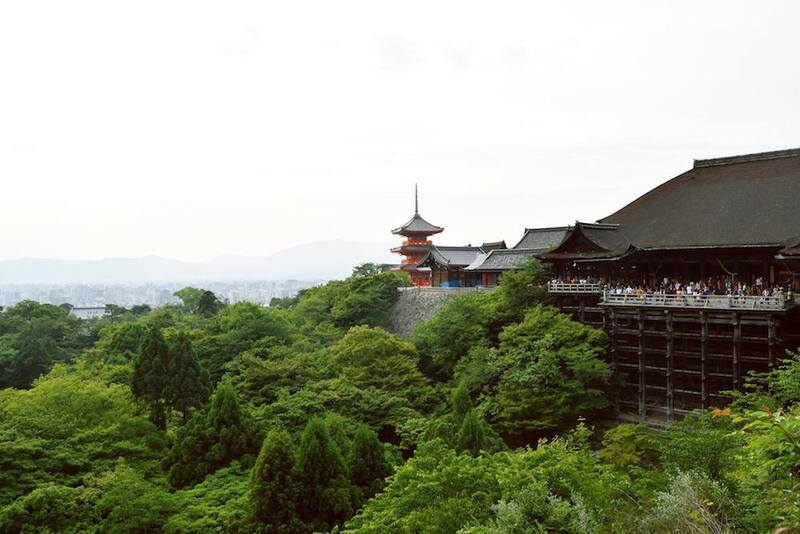 The Kiyomizu-dera Buddhist temple in Kyoto is particularly fascinating as it dates back to 778. The name is derived from the nearby waterfall, meaning clear water. Historically, people who wanted to have a wish granted would jump off the temple’s main stage. If you survived the jump of 13 meters (most did), you’d have your wish granted. This practice is now illegal, but it adds to the mystique of this temple. There’s even a love stone for those interested in becoming a bit more lucky in love although it requires a bit of assistance from a knowledgeable source. The Kiyomizu-dera Buddhist temple is a popular destination during cherry blossom season due to its grounds filled with cherry trees. For a unique experience, enter the Zuigudo Hall, which is underneath the main temple. You’ll enter pitch-black darkness, which is meant to symbolize a mother’s womb. It was built in honor of Buddha’s mother. The area below the temple is filled with shops, perfect for buying souvenirs from Kyoto. 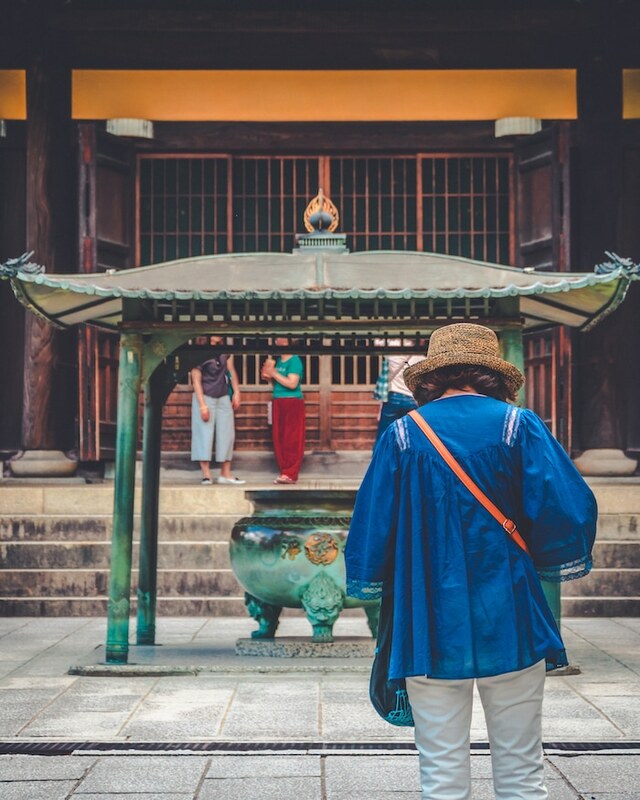 While there are many more temples and shrines in, and around, Kyoto, every single temple in Kyoto is a special experience in itself. 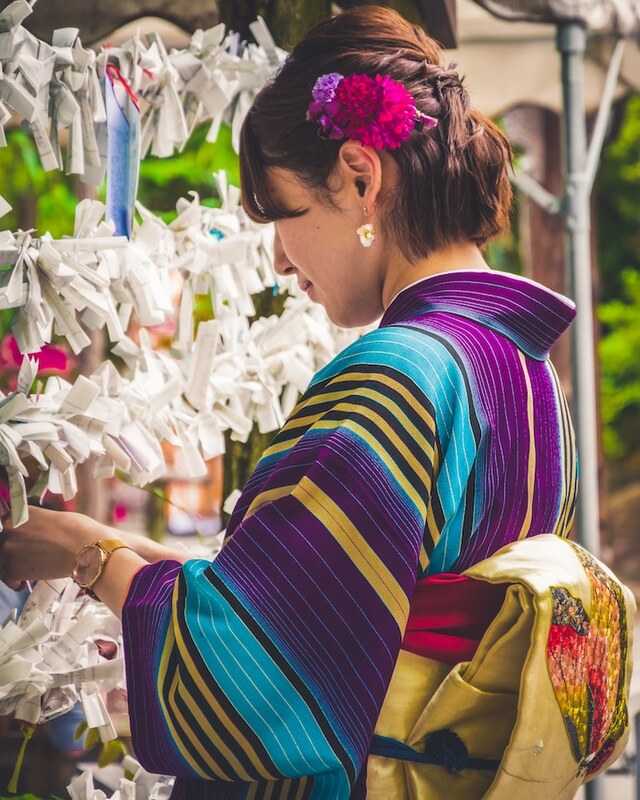 Don’t be afraid to take time and just “people watch” the locals praying and donating gifts to the gods; the culture within Japan is truly one of the highlights of visiting Kyoto as well as visiting Japan more generally. 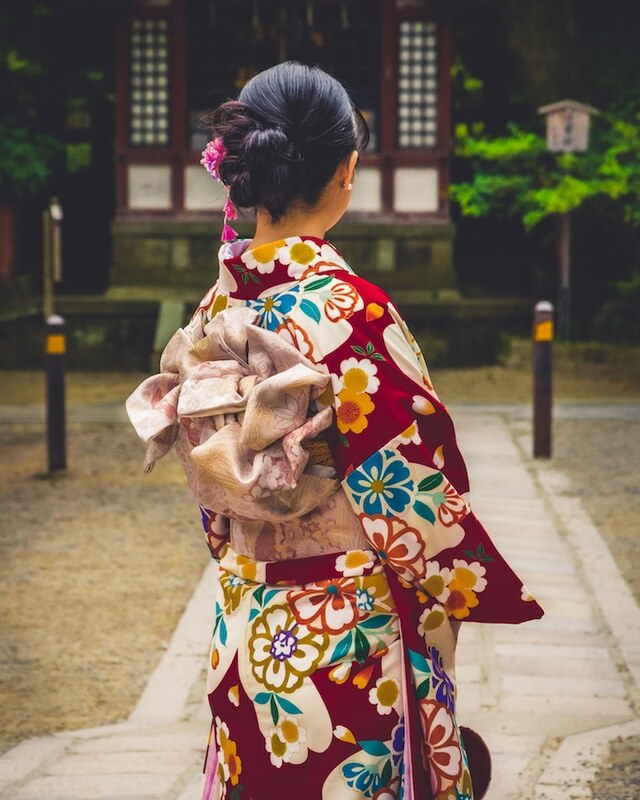 The slower pace of Kyoto (compared to Tokyo) is a great introduction to Japan although the discerning traveler will find something new simply by wandering into the various shrines and temples around Kyoto. 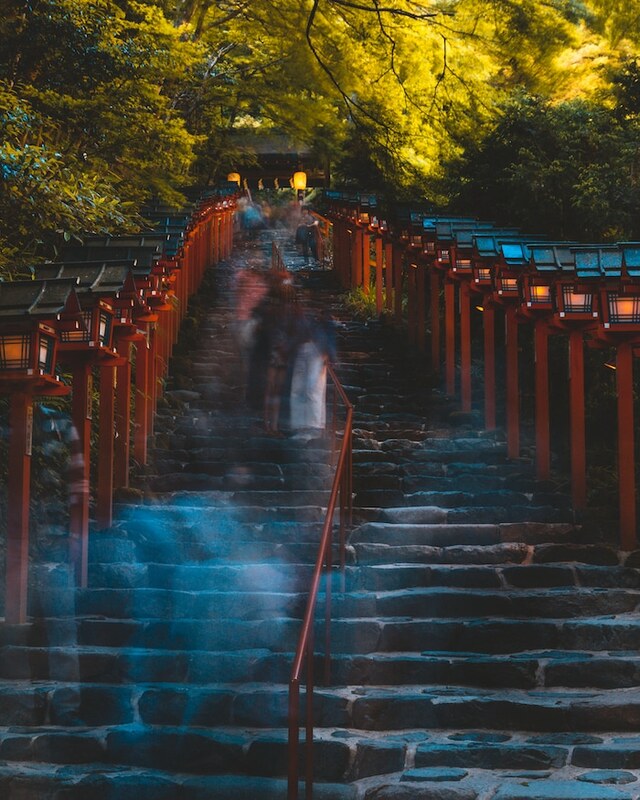 Have you visited the temples in Kyoto? Which one was your favorite?